Fawn Meadows is a very picturesque nine hole course. 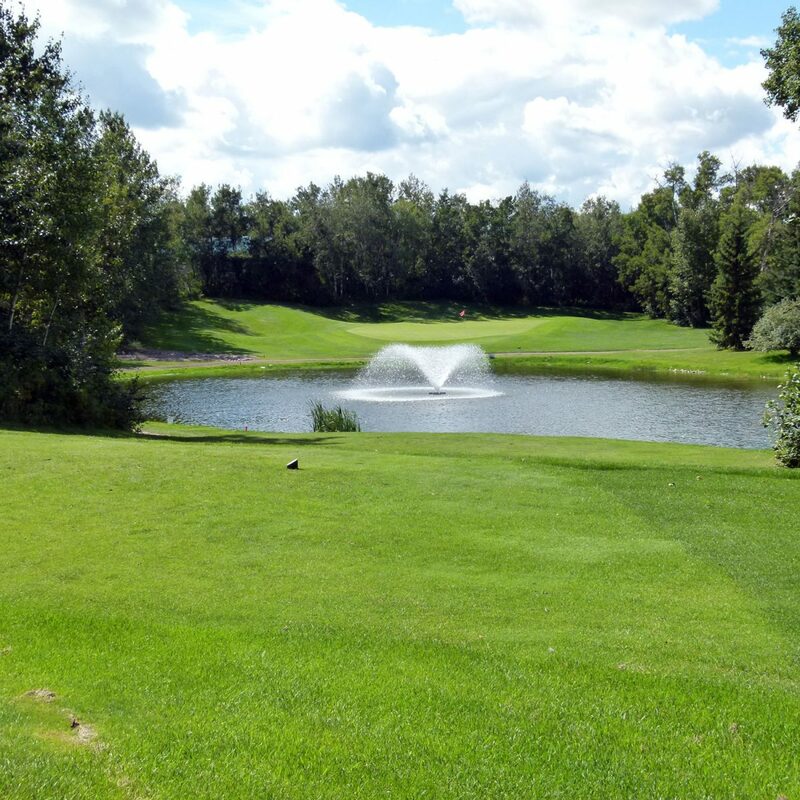 There are tree lined fairways with gently rolling hills. 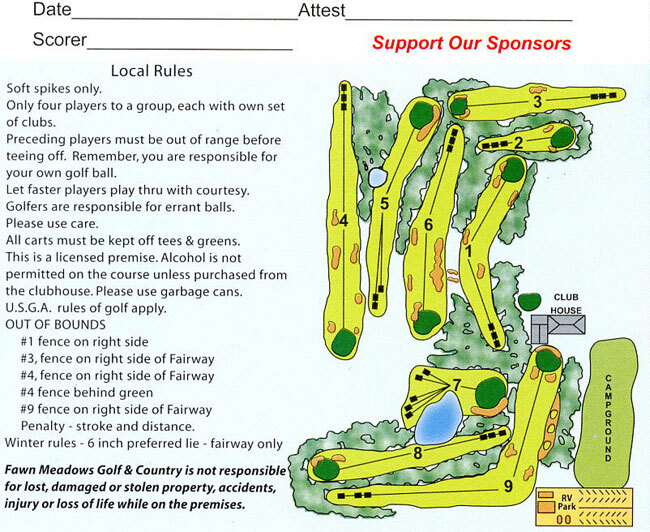 Water is located on two of the nine holes, one of which you must hit over the water. Our greens are immaculate and your ball will run true, although a number of them will fool you. There are numerous sand traps located strategically on the course.